The Chevrolet Silverado 1500 has fallen a little short in recent years, and that’s something that Chevrolet wants to correct. Marking the 100th anniversary of the Chevy Silverado 1500, the redesigned model was showcased at the 2018 Detroit Auto Show, where it gave an impressive showing. Here is what you can look forward to in the 2019 Chevy Silverado 1500! The 2019 Chevy Silverado 1500 will double the current model’s powertrain options, giving it up to six engine and transmission combinations. This includes two new V8 engines, a 5.3-litre, and a 6.2-litre, both of which feature Chevy’s new dynamic fuel management system. There is an additional 3.0-litre six-cylinder Duramax turbo diesel engine, the first time an engine like this has been offered with the Silverado. Both the 3.0-litre and the 6.2-litre engine options can be combined with an available 10-speed automatic transmission and start-stop engine technology. These features give you more control over your vehicle’s offered power and driving performance. The 2019 Chevy Silverado 1500 will feature a lighter, yet stronger, body, which allows more nimble and agile handling than the current generation. However, this doesn’t mean that the new Silverado 1500 loses any strength in its frame! With a mix of various body panels and mixed material construction, weight is shaved but strength and rigidity remain. Chevy says that they have incorporated more safety features into the new 2019 Chevy Silverado 1500, though they have not gone into specifics. 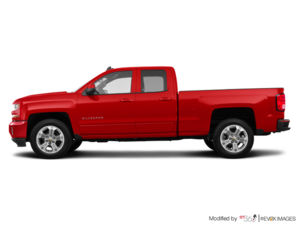 It is known that the current 2018 Chevrolet Silverado 1500 had a fair amount, however, so that they found room to add more certainly impresses. The new 2019 Chevrolet Silverado 1500 doesn’t have a confirmed price yet, or release date, but experts expect it to be in line with the current lineup, which starts at $28,285, but can go up to $52,000. The new Chevy Silverado 1500 is expected to arrive at dealerships this fall. For more information on the 2019 Chevrolet Silverado 1500, or to learn more about the current lineup, please contact us at Lanoue Chevrolet today!